Diabetes mellitus is associated with increased fracture risk in women but few studies are available in men. To evaluate the relationship between diabetes and prospective non-vertebral fractures in elderly men, we used data from the Osteoporotic Fractures in Men (MrOS) study. The MrOS enrolled 5,994 men (aged ≥65 years). 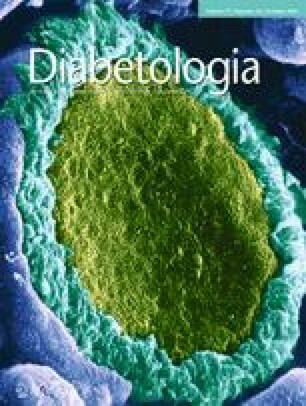 Diabetes (ascertained by self-report, the use of medication for diabetes or an elevated fasting glucose level) was reported in 881 individuals, 80 of whom were using insulin. Hip and spine bone mineral density (BMD) was measured using dual x-ray absorptiometry (DXA). After recruitment, the men were followed for incident non-vertebral fractures using a triannual (3 yearly) questionnaire for an average of 9.1 (SD 2.7) years. The Cox proportional hazards model was used to assess the incident risk of fractures. In models adjusted for age, race, clinic site and total hip BMD, the risk of non-vertebral fracture was higher in men with diabetes compared with normoglycaemic men (HR 1.30, 95% CI 1.09, 1.54) and was elevated in men using insulin (HR 2.46, 95% CI 1.69, 3.59). Men with impaired fasting glucose did not have a higher risk of fracture compared with normoglycaemic men (HR 1.04, 95% CI 0.89, 1.21). After multivariable adjustment, the risk of non-vertebral fracture remained higher only among men with diabetes who were using insulin (HR 1.74, 95% CI 1.13, 2.69). Men with diabetes who are using insulin have an increased risk of non-vertebral fracture for a given age and BMD. The authors wish to thank C. C. Dant of Medcom Consulting for his expert assistance preparing this manuscript. The authors represent the Osteoporotic Fractures in Men (MrOS) research group. The Osteoporotic Fractures in Men (MrOS) study is supported by National Institutes of Health funding. The following institutes provide support: the National Institute of Arthritis and Musculoskeletal and Skin Diseases (NIAMS), the National Institute on Aging (NIA), the National Center for Research Resources (NCRR) and NIH Roadmap for Medical Research under the following grant numbers: U01 AR45580, U01 AR45614, U01 AR45632, U01 AR45647, U01 AR45654, U01 AR45583, U01AG18197, U01-AG027810, and UL1 RR024140. Glucose measurements were supported by a grant from the American ADA (1-04-JF-46, Strotmeyer ES). NN was involved in the concept, in data interpretation and in writing the manuscript. KEE and ESS were involved in the concept and design of the study, the acquisition and interpretation of data and the critical review of the paper for important intellectual content. ARH, DES, TLD, EB-C, DCB, DMB, ESO and SRC took part in the acquisition and interpretation of the data and in revising the article for important intellectual content. LP was involved in data acquisition and analysis and in revising the article. AVS is the guarantor of the study and made substantial contributions to the conception and design of the study, to the analysis and interpretation of the data, and to revising the article critically for important intellectual content. All authors gave their approval of the final manuscript.